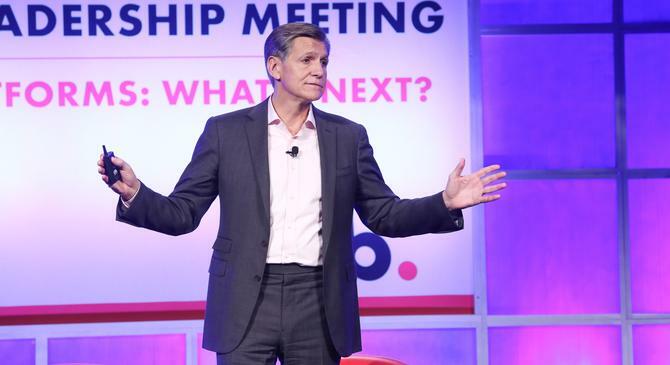 It’s time marketers and advertisers stopped giving digital a “free pass” and cracked down on the “fraudulent” and “murky” practices that continue to pervade the industry, Procter and Gamble’s chief brand officer, Marc Pritchard, says. Speaking at this year’s Interactive Advertising Bureau (IAB) Leadership Summit in the US, the executive called out those who continue to allow a lack of transparency in media, and outlined a multi-point plan being launched by P&G this year aimed at improving digital media supply chain accountability. “We need better advertising to drive growth, enabled by media transparency, to drive a clean and productive media supply chain,” Pritchard told attendees. “Better advertising and media transparency are closely related. Better advertising requires time and money, yet we’re all wasting way too much time and money on a media supply chain with poor standards and options. Pritchard said P&G was as much to blame for the challenges facing the media supply chain as any other player in the market. “I confess P&G believed the myth, that we could be the first mover on all the shiny new options despite the lack of measurements and verification,” he said. “We accepted multiple viewability metrics, publishers self-reporting with no verification, outdated agency contracts and fraud threats with the somewhat delusional through that digital is different and we were getting ahead of the digital curve. P&G’s four-point plan to address these issues include a full review of all agency contracts for greater transparency, adopting the Media Rating Council’s viewability standards of an ad being at least 50 per cent in view for one second, or two seconds for video, and the decision to no longer accept media owners who measure their own inventory. In a bid to prevent ad fraud, P&G will also require any digital media contributors to become Trustworthy Accountability Group (TAG) certified this year. “The problems and solutions aren’t new,” Pritchard said. “Adopt one media viewability standard. Implement accredited third-party measurement verification. Get transparent agency contracts and prevent ad fraud. Yet for many reasons, we haven’t taken enough action to make a difference.